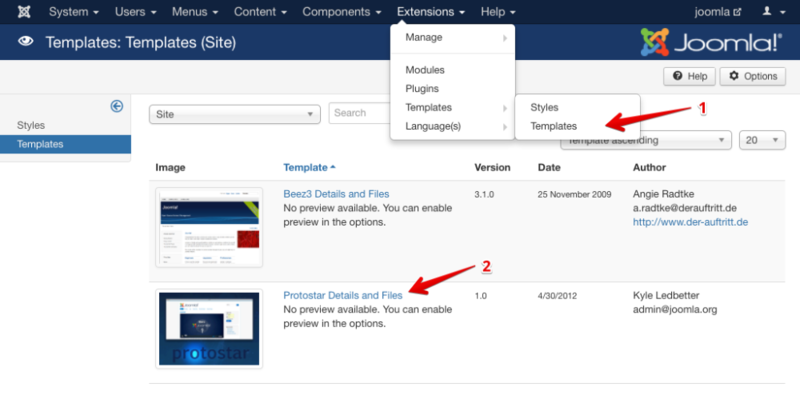 Log into your Joomla admin panel and go to "Extensions" → "Template Manager". Find site template which you use in the template list (it’s marked with the yellow asterisk). Open it. Choose index.php in the menu on the right. Scroll template code to the </body> tag in the code editing tab. Go to https://whatshelp.io/widget/ in another browser tab, create your button and copy the widget code from Step 3. Go back to Joomla panel, paste the widget code before </body> tag. 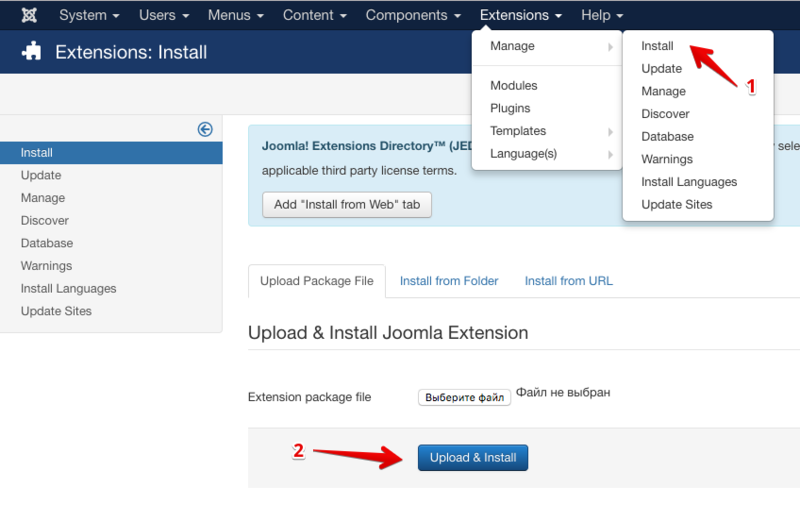 Option 2: Joomla plugin integration. 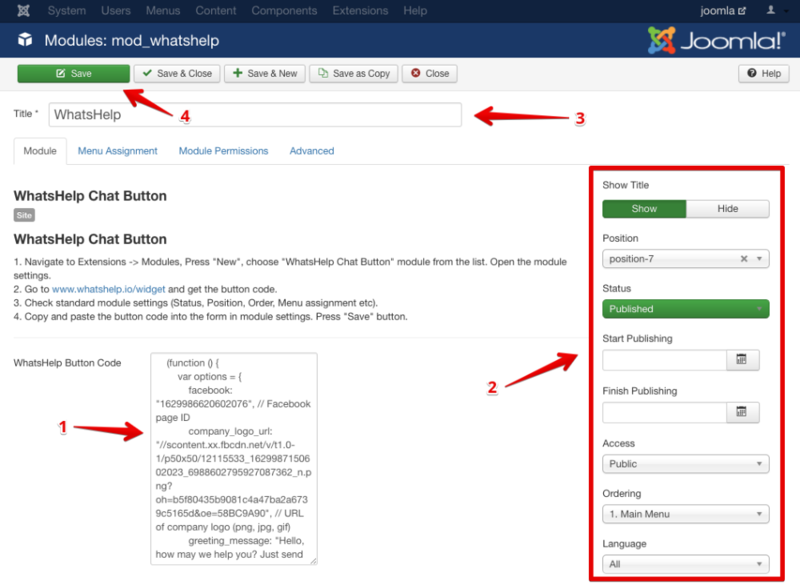 ownload the WhatsHelp Chat Button plugin from the Joomla directory. Log into your Joomla administration console and go to "Extensions" → "Manag" → "Install". Press on "Upload & Install" and Upload the plugin file. Go to "Extensions" → "Modules" . If the WhatsHelp plugin is not in the list, click "New" button on the top left and choose the WhatsHelp Chat Button plugin from the list. If the plugin appears in the list, click on it and visit plugin setting page. 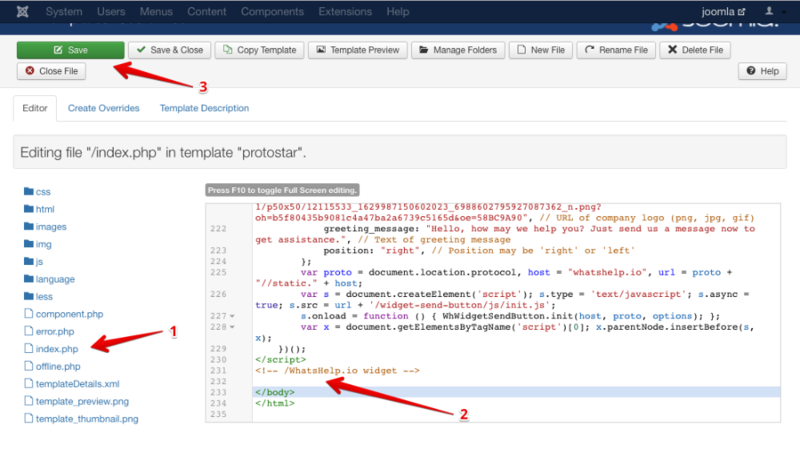 Go back to Joomla panel, paste the widget code into the form. Enter the module name and check all standard plugin settings on the top right (Status, Position, Order, Menu assignment etc). Press on "Save" button on the top left.